Looking after your pet’s health should be your number one concern, and that includes providing a healthy, balanced, and nutritious diet, based on high-quality ingredients. However, offering the best food to your dog could prove a difficult task, especially since you cannot refuse those sad puppy eyes. Although dogs are omnivorous animals, this doesn’t mean that your food should be your pet’s food. In fact, there are several ingredients that humans have no problem eating that could prove dangerous to your pooch. Here is a list of things you might want to avoid feeding your pet. No responsible owner should offer alcohol to his or her dogs, no matter the type or the amount served. You may think it’s cool to share a light beer with your pooch at the end of a hard day at work, but this could prove fatal. Alcohol can lead to intoxication, lack of coordination, poor breathing and, in some cases, coma, and even death. You should avoid feeding your pet sweets in general, but especially chocolate. Dark chocolate contains caffeine which will stimulate the nervous system. This could lead to a series of complications, including tremors, vomiting, restlessness, diarrhea, increased heart rate, and seizures. If your dog ingested chocolate, you should immediately take him or her to a vet or a hospital for pets. On that note, you cannot offer your dog any caffeine-based products, including energy drinks, coffee or black tea. These two ingredients should definitely be on your shopping list as not only do they add flavor and spice to your food, but they are also rich in vitamins and will boost your immune system. Unfortunately, they won’t provide the same benefits to your dog. Garlic, onion, leeks, chives, and shallots will destroy your pet’s red blood cells, causing hemolytic anemia. The symptoms can vary from vomiting to breathlessness and could lead to death by asphyxiation. 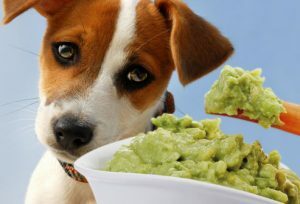 You may love your guacamole, but you should keep it away from your dog. Avocados are often considered super foods for humans since they contain various vitamins, minerals, and oils. However, avocados also contain a substance named Persin which is found in the seeds, leaves, and bark of the plant. The ingestion of this substance could cause diarrhea, vomiting, breathing problems, and even kidney failure. Therefore, you should keep your pet away from the fruit and the plant if you grow it in your own home. Did you know that dogs can also be lactose intolerant? Although this is a rare condition, you might want to consider your pet’s safety first. Cheese is not necessarily dangerous if consumed in small amounts, but should be avoided since it is fatty. If, however, you want to give your pooch a treat once in a while, you should go with low-fat types of cheese such as mozzarella and cottage cheese. You might think that the source of proteins your pet receives doesn’t matter as long as we are talking about a big chunk of meat. Unfortunately, not all types of meat are beneficial or healthy for your pet. Fatty meats like bacon, meat trimmings or ham often contain large amounts of salt, too, which can lead to a bloated stomach, and the loss of water in the body. Too much fat can also cause pancreatitis, so it would be best to choose low-fat meat recipes, such as chicken, turkey, and fish. You could also look for some organic dog food brands on the market and see the ingredients they recommend. Although the reasons why these fruits are harmful to dogs are still unclear, you should never include them in your pet’s diet as they can cause kidney failure. Vomiting, depression, and low energy levels are the most common symptoms known so if your pet is experiencing any of them, you should take him or her to a vet immediately. These are considered to be some of the most poisonous foods for pooches. Even in small amounts, Macadamia nuts can cause inability to walk, vomiting, lethargy, and can seriously affect the nervous system. Although other types of nuts are not dangerous, they still pose a choking hazard, so it would be best to avoid them. We already established that sugary foods are a no-no for dogs, so you may think that sugar-free products are a healthier alternative. Unfortunately, most of these foods, along with toothpaste, gum, and mouthwash contain xylitol, a highly toxic substance for pooches that can lead to liver failure. We recommend talking to a veterinarian immediately. Keeping your pet on a raw diet isn’t always the best solution. Uncooked eggs can be packed with bacteria such as E. coli or Salmonella, which are not only dangerous for the dog but can also lead to death. Before starting a raw diet, it would be best to talk to a vet first and see if there aren’t any healthier alternatives. The same goes for any type of uncooked meat for similar reasons. Yes, bones are delicious for your pet, but cooking them could pose a severe threat to the animal’s health. Boiling them can lead to splinters which are extremely dangerous if ingested. Uncooked chicken bones can be just as dangerous, so you might want to avoid them, too. The only ones that might be considered safer are cow or pig bones (the ones that are very big) because they can’t be broken down into splinters. 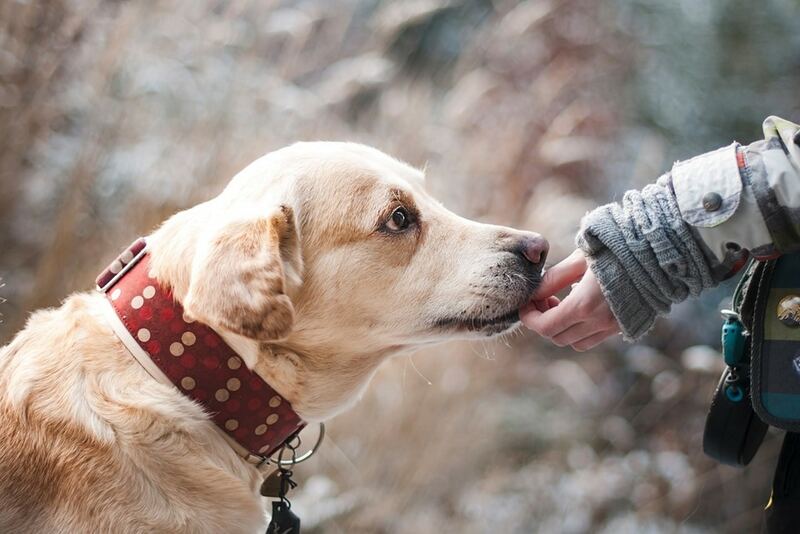 Even so, it’s better to be safe than sorry, so avoid feeding your dog bones altogether. That doesn’t mean that you can’t feed your dog some bone broth because it’s really healthy. Although not dangerous or toxic, bread doesn’t provide any nutritional value as it is only packed with empty calories and carbohydrates. Home cooked bread is a healthier alternative, but you shouldn’t feed it to your pet more than once a week as it may lead to weight and obesity problems over time. 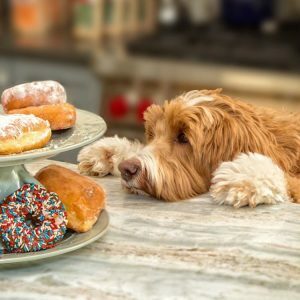 Try to keep away from pastry products or cakes as well as they are mainly packed with sugar and sweet ingredients that aren’t good for your pet’s health either.